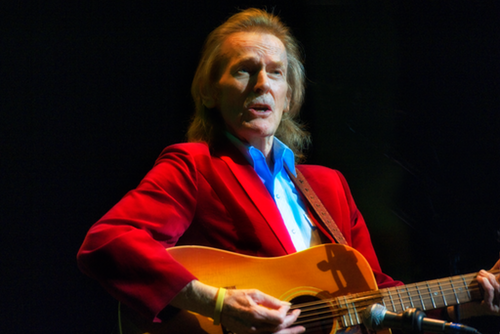 Gordon Lightfoot celebrated his 80th birthday on November 17, 2018 with a special hometown performance in Orillia, Ontario. Now in his sixth decade of touring, the legendary singer-songwriter is considered a national treasure and is beloved by music fans around the world. His career as young singer performing on local radio, in Kiwanis festivals, and appearing at Massey Hall at the age of 13. He studied at Los Angeles’ Westlake College of Music, and returned to Canada in the early 1960s where he began performing at the ‘’Riverboat’’ in Toronto and in coffee houses throughout Canada and the United States. In 1966, his debut album Lightfoot! was released. Tracks such as For Lovin’ Me, Early Morning Rain, Steel Rail Blues and Ribbon of Darkness brought him international recognition as a songwriter. As a result, cover versions of his songs were recorded by artists such as Bob Dylan, Elvis Presley, Barbara Streisand, Johnny Cash, and countless others. In 1971 Gordon earned his first Top Ten hit when If You Could Read My Mind became and international sensation. In 1974, his classic single, Sundown, went to No. 1 on the American charts, followed two years later by The Wreck of the Edmund Fitzgerald, inspired by a Newsweek magazine article; it reached No. 2 on the U.S. Billboard charts. In 2004, he released his 20th album Harmony, and his iconic Massey Hall residencies are celebrated with the release of his most recent album Massey Hall Moments – All Live, a collection of live recordings of the finest Massey Hall performances, recorded between 1998 and 2001. Mr. Lightfoot has won 15 Juno Awards and been nominated for 5 Grammy Awards. He was inducted into the Canadian Music Hall of Fame in 1986 and the Canadian Country Music Hall of Fame in 2001. In May 2003 was made a Companion of the Order of Canada and is also a member of the Order of Ontario. In 2004 was inducted into the Canadian Songwriters Hall of Fame and, in 2012 into the U.S. Songwriters Hall of Fame.